Revisiting the irony of the original Dada movement, Neo-Dada was first popularized in the early 1960s. The label has been applied to a wide variety of artistic works, mostly including Junk art, use of found objects and the employment of banal activities and objects as instruments of social and aesthetic critique. 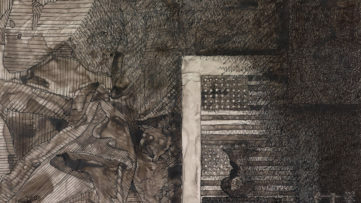 The most popular names behind this vast spectrum of art are Robert Rauschenberg, Jasper Johns, Merce Cunningham, John Cage, Jim Dine, John Chamberlain, Ray Johnson among many others who have ventured into this ambiguous form of expression. 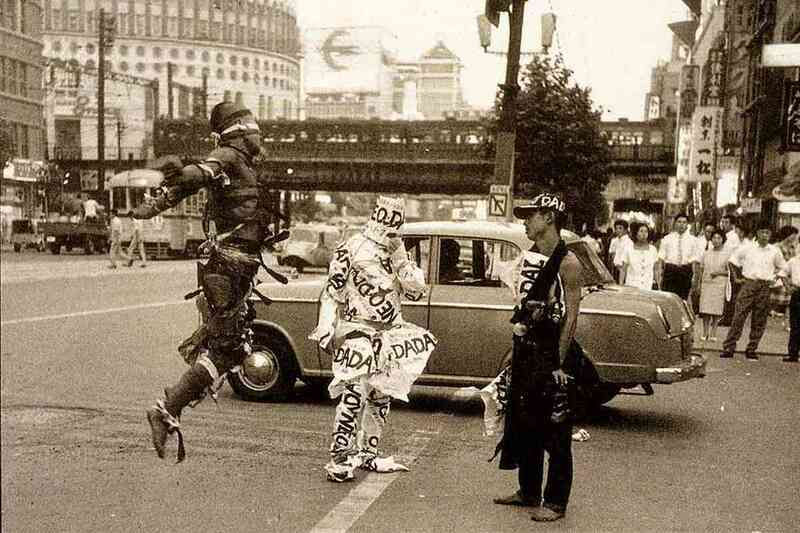 Recently, we’ve addressed the history and the awakening of Neo-Dada, where we’ve explored in-depth exactly how such a movement came to life, and what were the motifs behind it. Many art theorists and critics would say that Neo-Dada styles and ideas affected other artistic forms and movements such as Pop art, Junk art, Fluxus and Nouveu Réalisme, as well as several other contemporary art forms like assemblage, performance and installation. Here, we take a look at the 10 Neo-Dada art pieces that left a significant mark in the development of this movement, and many others. 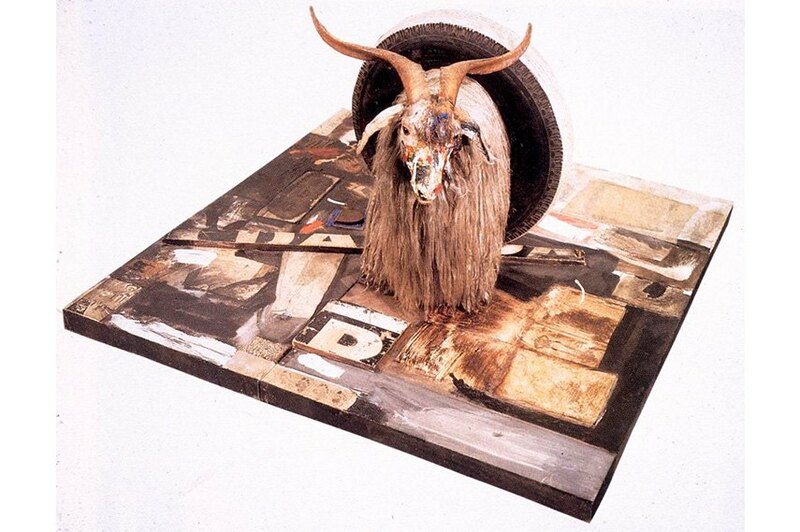 The piece entitled Monogram belongs to the series of Combines that Rauschenberg created in the period between 1954 and 1964. 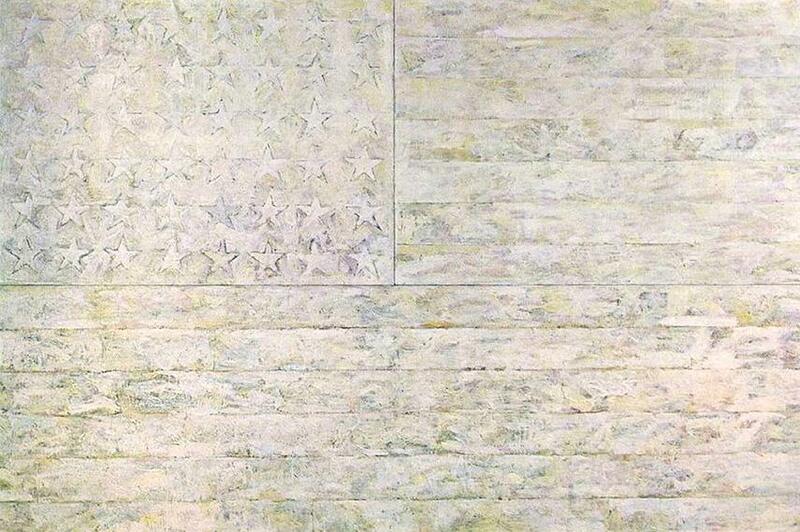 A firm believer that everything should be, and is equal, the artist named the entire series of work Combines. The artworks presented a unique merging of paintings and sculptures to form a completely new artistic category. Neo-Dada’s defying nature towards the traditional frames of art is ever-present in Rauschenberg’s artwork. Bought for 15 dollars in a secondhand office-furniture store in New York, the stuffed Angora goat is the central piece in this amalgamation of genres and symbols. Interestingly enough, the title was derived from the combination of the tire and the goat, which resemble the interweaving letters in the word “monogram”. Pioneer of electroacoustic music, indeterminacy in music and the non-standard use of musical instruments, John Cage was one of the most influential American composers of the 20th century. Famous for breaking the boundaries and challenging the pre-conceived notions of art, Cage’s work often included unscripted performance components such as poetry reading, dance, music, photographic projections, film and other various mediums. Such was John Cage’s Theater Piece No. 1, or “The Event” as it is also known. The intricate multimedia event included all of the already mentioned examples followed by four panels of Robert Rauschenberg’s White Paintings, suspended from the ceiling, forming a shape of a cross. To further enhance the unpredictable experience, Cage allowed individual artists to choose their specific parts and roles within the whole performance. Many key artists from the Neo-Dada movement participated in this ground-breaking event, paving the way for the movement’s signature collaborations and multimedia basis that later on characterized the entire art form. In the true nature of Neo-Dada, Urs Fischer’s artwork often carries a sensation of tense provocation. The incredibly prolific Swiss-born sculptor is known for his subversive approach, often described as a polar opposite to a conceptual artist. Fischer doesn’t try to emphasize the point or the message behind his artwork, his work is often known to fall apart or disintegrate during an exhibition, usually driving the curators insane. His clay figures often have parts that are dripping or just pieces that fall off over time, perhaps, depicting our own existence as it all gets consumed and devoured by the time that passes on. 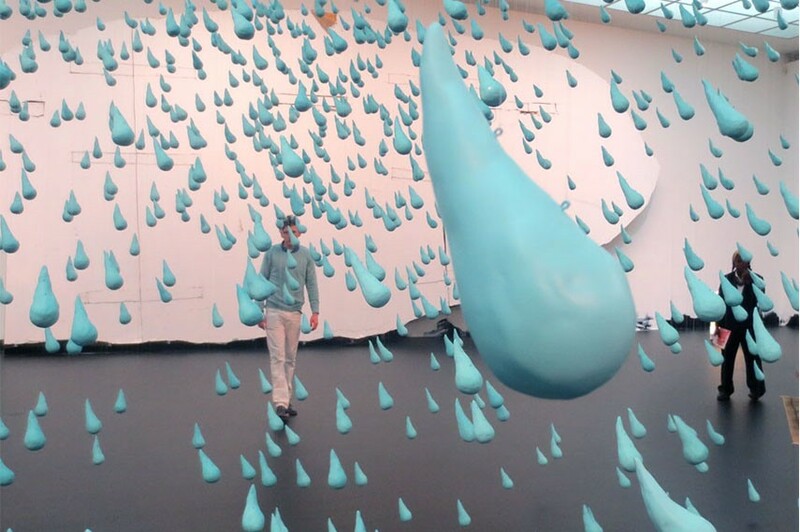 The thousands of giant raindrops he creates are suspended in time, as if someone has pressed pause in a movie scene, and we’re all just waiting for it to resume and get drenched with the colorful rain that is stopped for our enjoyment. Widely considered as an American pop artist, Jim Dine is sometimes regarded as part of the Neo-Dada movement as well. Inspired by John Cage’s radical approach to music composition, Dine sought to go beyond the preexisting values of aesthetics. 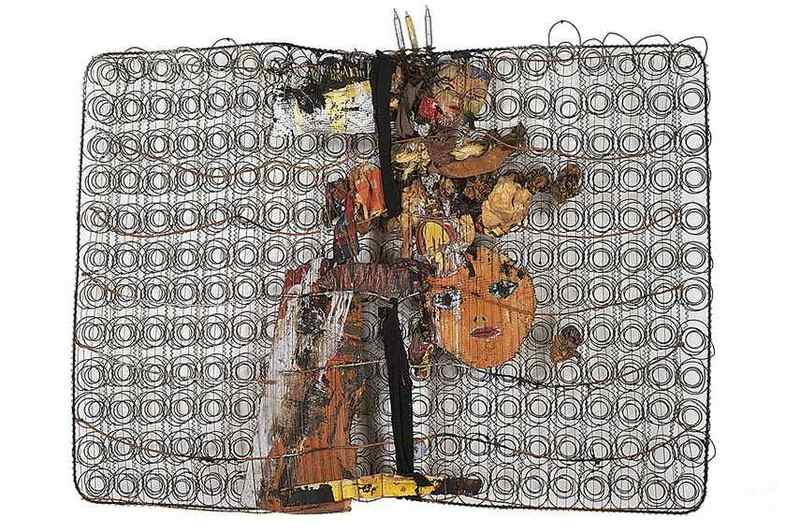 He created a chaotic interpretation of found and manipulated objects, entitled The House, where even the walls and ceiling were covered by an agglomeration of painted cloth, scribbled slogans, fragmented domestic objects and suspended metal bedsprings. With this exhibition, Jim Dine aimed to display the potential violence inherent to a home. Later on in his career, alongside of Roy Lichtenstein, Edward Ruscha, Andy Warhol and many others, Jim Dine became part of the birth of American Pop Art. 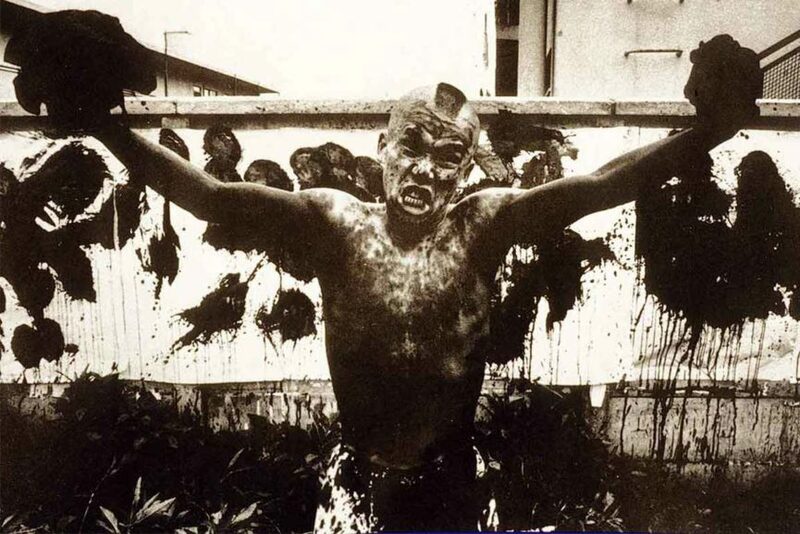 The creator of a group named “Neo Dadaism Organizers”, Ushio Shinohara is an internationally exhibited Neo-Dadaist artist from Japan. Already being a part of a ground-breaking movement in art, Shinohara took the artistic expression to a new level. 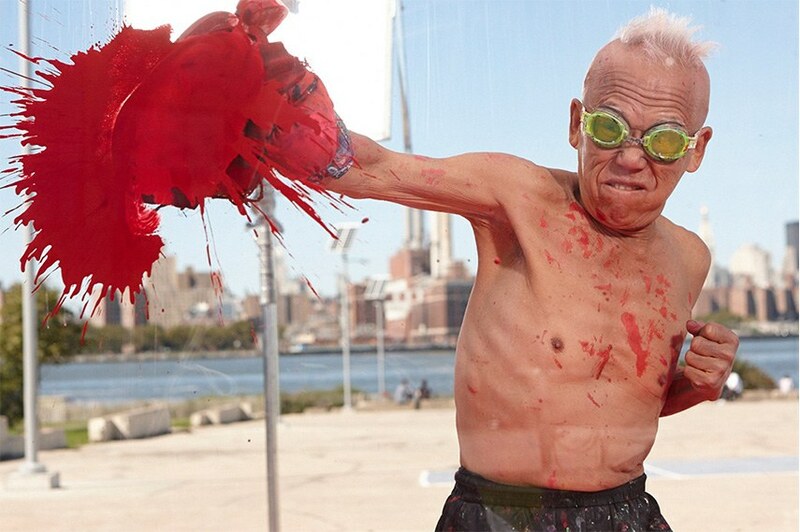 His famous “boxing paintings” consist of the artist dipping the boxing gloves in paint or sumi ink, and hitting the canvas in order to cause splatter markings with pigments. As many other action-painting oriented artists, Shinohara focuses more on the gesture and vitality of the creative process, rather than on the beauty and aesthetics of an image. The artist is also known for his “junk art” sculptures which involve found objects, discarded trash, motorcycle parts and other examples of modern society, reused and reformed into sculptures. Chamberlain’s most prominent work features sculptures made from old, discarded automobiles. 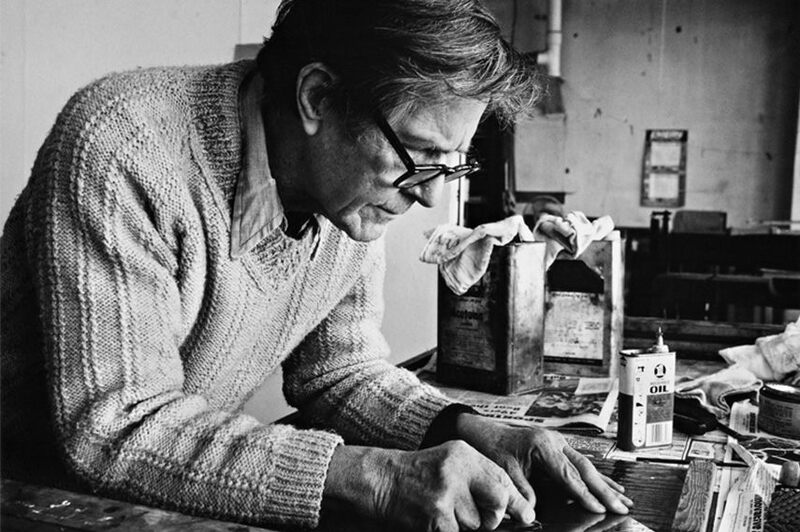 He gained international recognition for making vividly colored and dynamic sculptures that borderline with abstract expressionism. 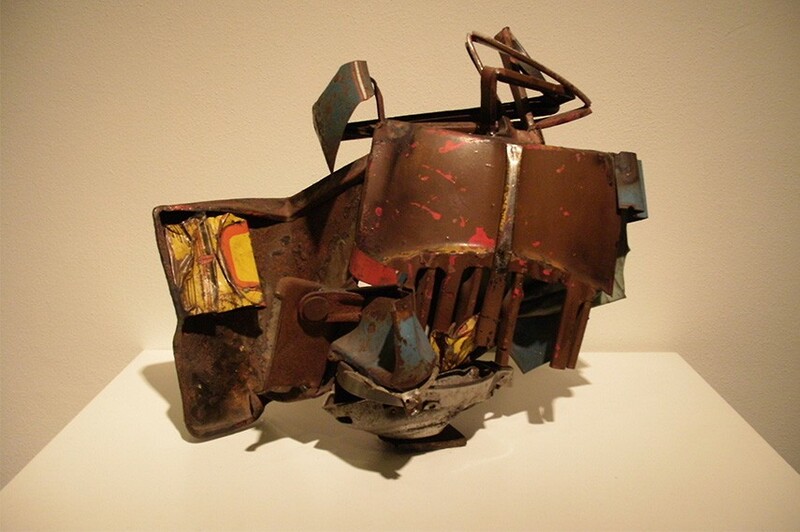 In the veins of Neo-Dada principles, John Chamberlain allowed the jagged edges and curved surfaces of the scrap parts to form a spontaneous and instinctual process. 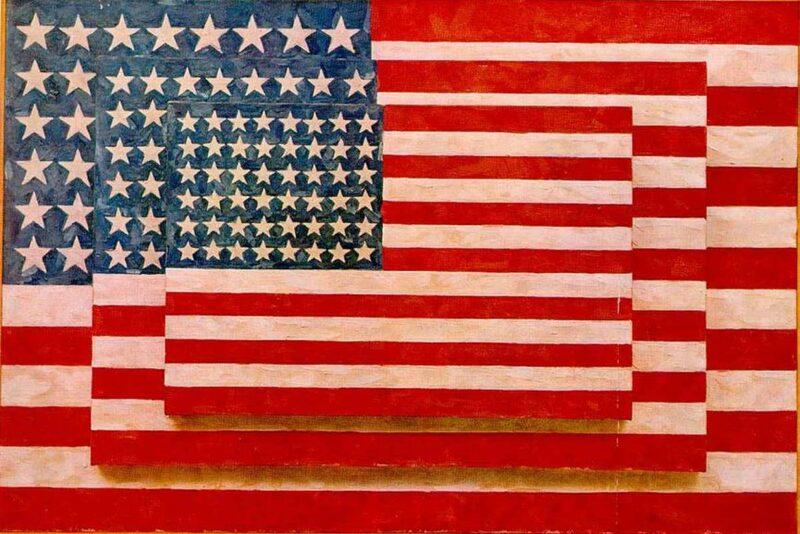 Never agreeing with the presumptive critics and theorists who kept perceiving Chamberlain’s work as a commentary on the waste and taste of the American consumerism, the artist claimed he chose the materials that were cheap, available and easy to work with. Considered by many as the founder of video art, Nam June Paik worked with a variety of media before participating in the Neo-Dada art movement, particularly the Fluxus. His debut exhibition featured scattered television sets everywhere and magnets that were used to alter and distort their images. After numerous scandalous and controversial performances, including the one where Paik played Chopin and threw himself on the piano, followed by his rushing into the audience, attacking John Cage and pianist David Tudor by cutting their clothes with scissors and splashing shampoo on their heads, Paik became an international celebrity. 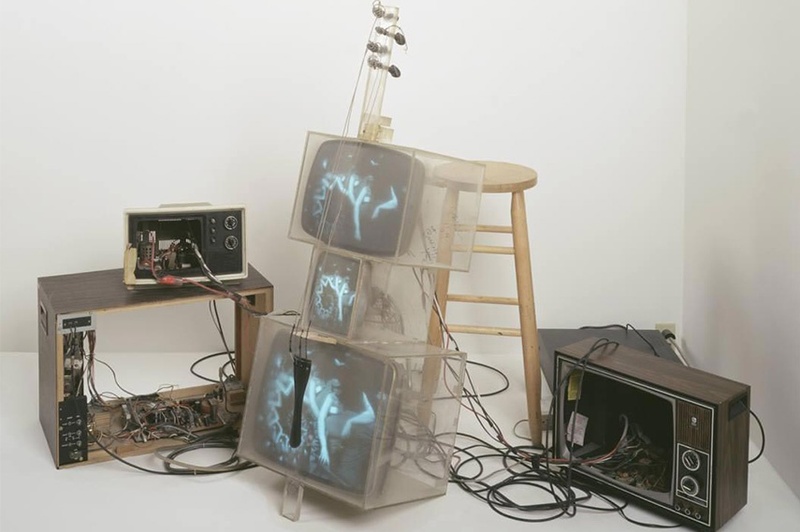 In 1971, Paik created a cello out of three TV sets piled up on top of each other and with real cello strings. 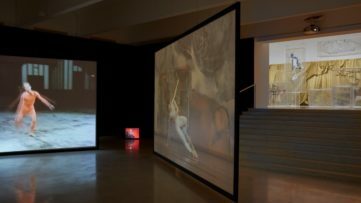 The three televisions originally displayed three images: a direct transmission of the actual performance, a video assemblage of other cellists, and an intercepted broadcast feed. World-famous cellist Charlotte Moorman actually played this unorthodox instrument, creating a series of electronic sounds. 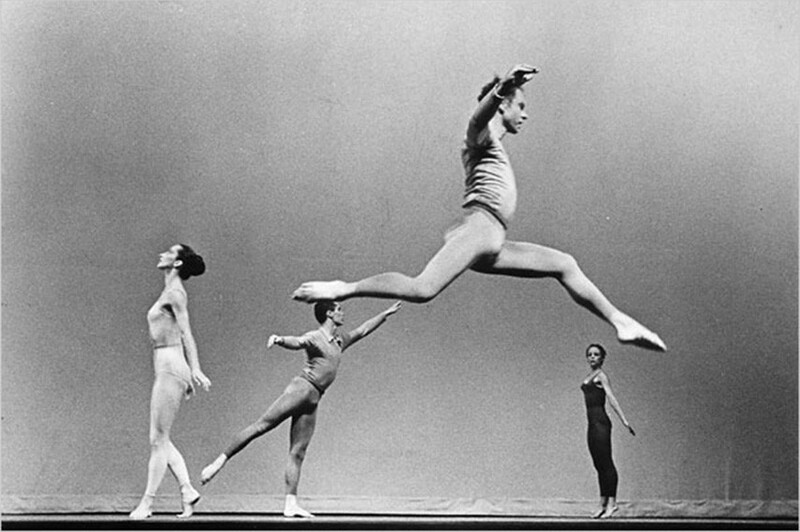 American dancer and choreographer, Merce Cunningham was at the forefront of the American modern dance for over 50 years. He is responsible for developing new forms of abstract dance movement. With practically his whole life dedicated to dance, Cunningham began to study it quire early, at the age of 12. Inspired by the power of random phenomena as a determinant of structure, he created “choreography by chance”, a technique based on isolated movements assigned by a pattern of randomness. His abstract dances convey different moods and emotions, but are usually characterized by abrupt changes and contrasts in movements. 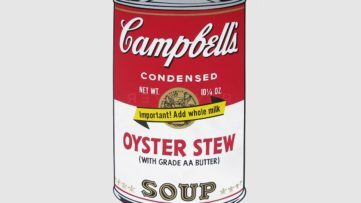 As one of the key features of Neo-Dada was the collaboration between artists, Cunningham frequently worked together with other names from the movement such as the composer John Cage, and later on with the likes of Andy Warhol and Roy Lichtenstein. The brilliant unification of traditional Japanese forms and modern manga/anime-inspired character Mr.DOB is Takashi Murakami’s signature work. The whimsical character derived from the cult status in Japanese youth culture, Mr.DOB is instantly recognizable as his facial features and appendages literally spell out his name, which is a contraction of the Japanese slang expression for “why?” (dobojite). The wave presented across the three panels strongly alludes to the iconic Hokusai’s great waves. 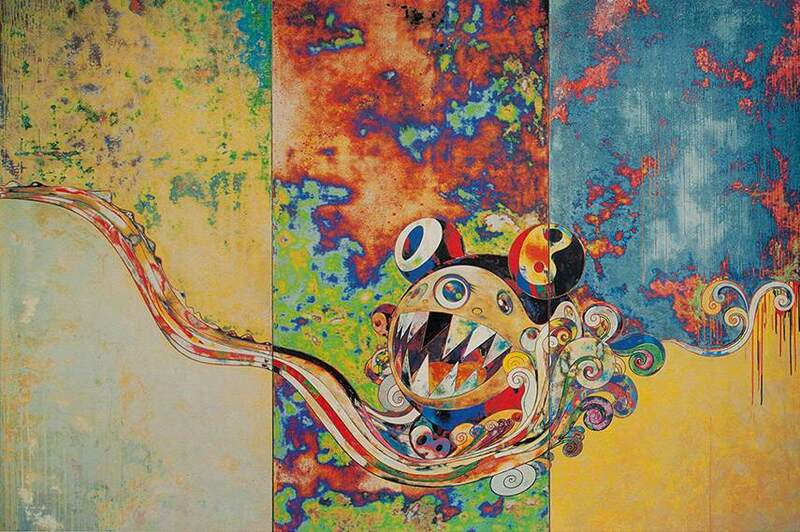 This particular piece is comprised of another fusion of Japanese and Western artistic approaches, but Murakami stated that his work is not attempting to be particularly representative of anything, saying that it was merely a combination of all the available techniques to him at the time.